This is me and Scout. 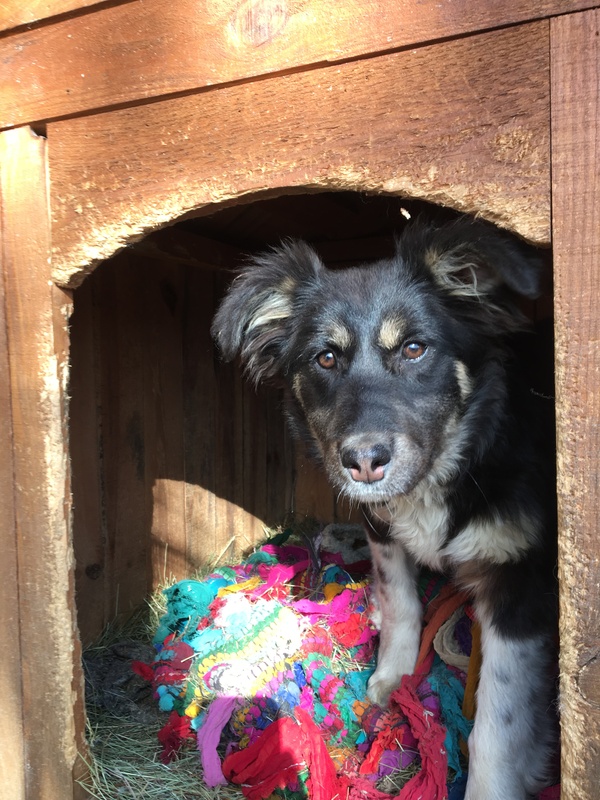 She’s about 8 months old, and was found at a train station in Bulgaria by Street Hearts BG, the organisation I’ve been helping for the last few months. And she’s coming home with me. By bike. From Bulgaria. I think it’ll take us about 5 weeks from 3rd August travelling through Romania, Hungary, Austria, Germany, Holland and then the good old UK…and I’m mildly terrified. Emma and Anthony started a neutering programme to try and control the local street dog population that somehow ended in them housing around forty dogs in their garden….they’re pretty extraordinary people. I’ve helped them catch street dogs, train feral ones, lead-train puppies and prepare them for lives in new homes with loving owners. The money they spend on food, vet bills, medication, microchipping, passports, vaccinations, kennels and shelter areas comes from fundraising and, quite often, their own pockets. So I’m taking a dog off their hands and giving her a forever home with me and my cat, Bob, and I’m going to bring her back to the UK by bike (and the occasional van or train and ferry if we have to) in the hopes that you good people will chuck some money at us (not literally, that’s dangerous). And that’s the long and the short of it. We’ll document the journey here so you can follow us! Wish us luck!